After pickup from your Las Vegas hotel you will travel to Boulder City, home of the Hoover Dam, where you'll stop for a photo opportunity along the Bypass Bridge. Then you're off to the Eldorado Canyon to explore the Techatticup Mine. Upon arrival you'll visit the general store where you'll learn about the history of the area by a local guide. 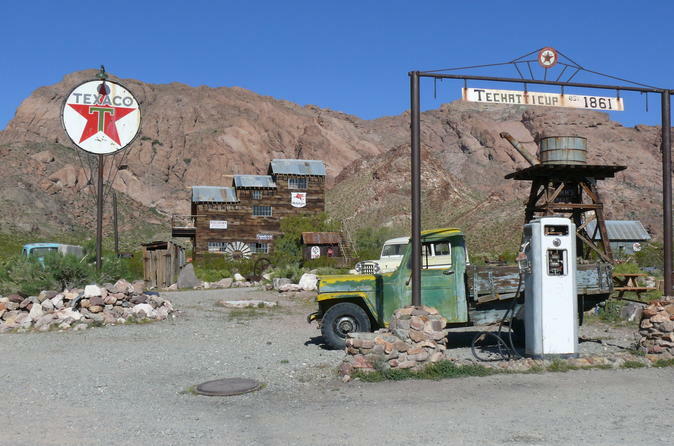 You'll walk to the mine's entrance and be transported back in time when mining was a way of life for Southern Nevada as you tour inside for approximately 1-hour. Afterwards, you will have time to shop and take pictures of the surrounding area, which has also been used as a film set for a number of movies. Before heading back to Las Vegas, you'll visit the Nelson Overlook for a gorgeous view of the Colorado River flowing through Eldorado Canyon. Special Offer - Book and save 9% compared to the local supplier's prices! - Book Now!